GIVEAWAY ALERT!!! Know a kid that loves arts & crafts? Check out my Instagram post to find out how to win a free month of MYFUNVELOPE! Spending Sunday Funday with the kids? Want some new arts and crafts to keep them busy? 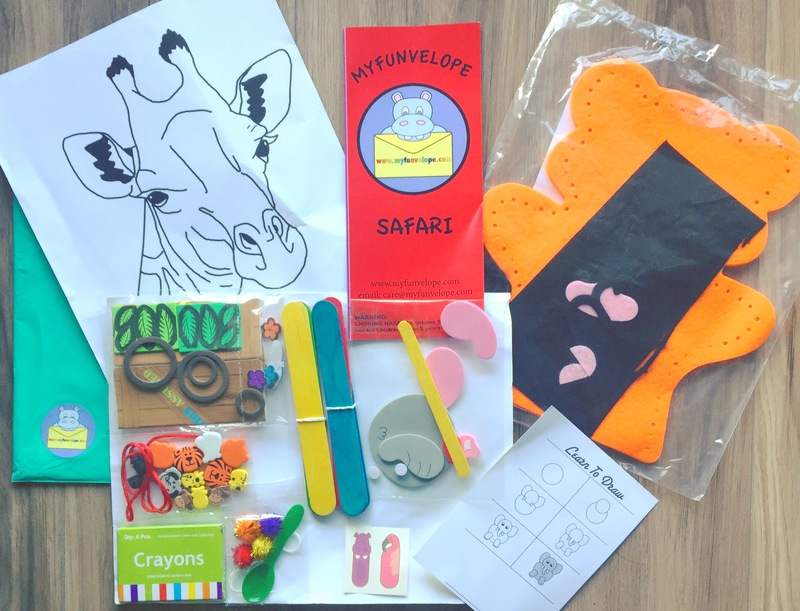 MYFunvelope is the type of mail that your little ones will wait on the postman for! A fun little package of new arts and crafts each month! In this months we got 7 different and new projects. My nephew and I had a fun time making each little craft, all kid friendly and simple enough to make! Each month will have a theme as well, like this months Safari theme! We made a cute like spongey material animal safari bracelet. It was great for hand and eye coordination and teaching patience to get the string through each other to form the bracelet. Westy loved colouring the giraffe with the new crayons. There’s all the pieces to make little safari binoculars! A giant hand puppet for story time reading. We made a fun catapult with the popsicle sticks. Then flung little squishy fuzz balls all over the living room. There’s was also a cute little elephant stick man.